Peter was born and raised in Sault Ste Marie. After completing high school at Sir James Dunn, he attended University of Toronto and completed his Doctor of Dental Surgery in 1985. Over the 30 years he has had the pleasure of working with Dr. Lloyd Prokop, Dr. Bert Peters and Dr. Archie Laidlaw. After 30 years of working at his Bay Street location it was time for a change. A new facility was built, allowing for ground floor access, more parking and a larger clinical area. This has allowed the practice to bring in Dr. Dante Carlascio, another Sault boy, to treat our existing patients and to grow his own patient based practice. When Peter is away from the office, he enjoys cooking and is an avid golfer. Dante was born and raised in Sault Ste. Marie, Ontario. Upon graduation from St. Basil Secondary School, he then studied at the University of Western Ontario, where he graduated with a Bachelor of Health Sciences in 2009. Realizing his passion was to become a dentist, Dr. Carlascio attended Indiana University School of Dentistry, and graduated in 2013 as a Doctor of Dental Surgery. He has successfully completed the national dental board examinations in both the United States and Canada. Dr. Carlascio was ultimately drawn back to his hometown of Sault Ste. Marie, and returned to start his career as a general practice dentist in 2013. 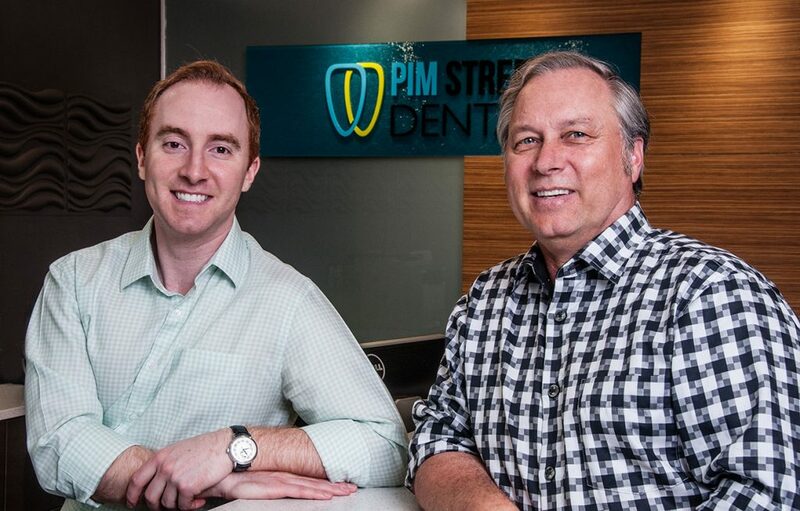 In 2015, Dr. Carlascio joined Dr. Peter Chudoba at the new Pim Street Dental office. He thoroughly enjoys being a part of this exceptional team at Pim Street Dental and looks forward to serving his patients here for many years. The office provides dental services in a new facility, in a friendly relaxing environment. We aim to treat all fairly. We treat patients and their issues without resorting to tactics. We listen to patients and provide the best care we can. Pim Street Dental has a team of 12, including our 2 dentists. With the move to Pim Street we have expanded our practice, which required the hiring of a few new team members. We currently have four full-time hygienists, three full-time dental assistants, and three administrative team members. Our employees, have an average of 10 or more years experience in this field. Not only do we have long term employees, we have lifelong patients. In some instances we have four generations of family all coming to our patient-based practice.